If the only reason we had alcohol in the house was to bake Sherry Nut Bundt Cake, then the only reason my mother owned a Cuisinart was to make banana bread. Okay, that's not entirely true - occasionally my dad would use it to make really tasty hashbrowns, but for the most part the Cuisinart was a one-hit wonder. But like Don McLean's American Pie, it was a good hit. Whenever I feel like I'm in a breakfast rut I like to make a loaf - it also travels really well, so I'll often make some for road trips. 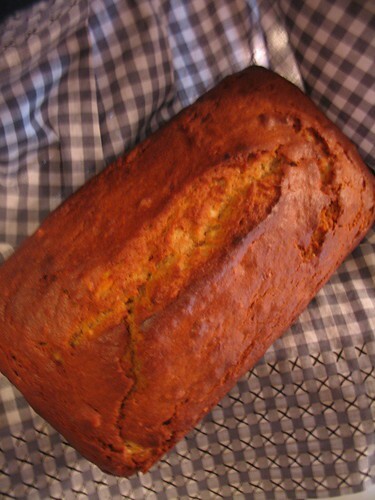 The recipe below is an adaptation of the banana bread recipe from an old Cuisinart cookbook that always fell open to this page, because again, it was the only thing it was used for. I don't own a Cuisinart and while you can do the recipe in a blender for the most part, it's easier to make and clean if you do it one-bowl style. 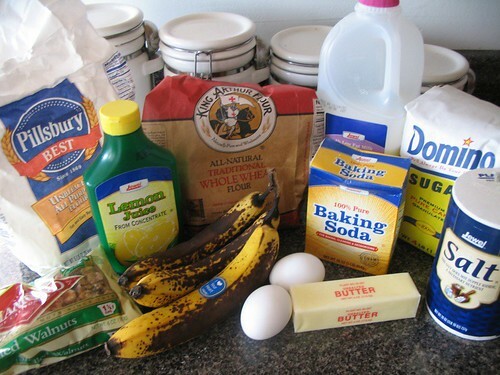 Break up the bananas and butter into a large mixing bowl. With a sturdy whisk, mash together the butter and bananas until mixed well - the butter will still be a little chunky, but should be about pea-sized. Add flour, sugar, soda and salt. Whisk around on top of the bowl before using a spoon to combine with butter/banana goop. 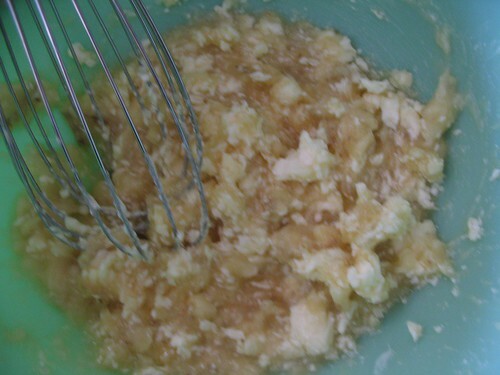 Add eggs, milk and lemon juice, adding the juice last. Mixture may bubble slightly when the lemon juice is added. 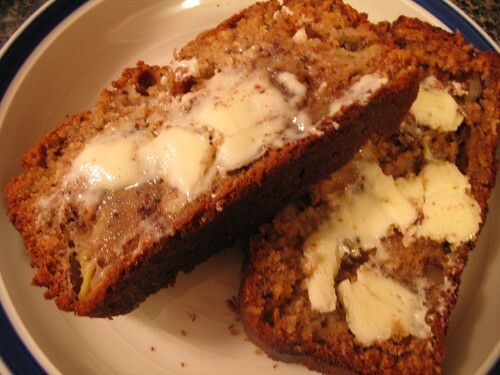 Mix in walnuts and pour into a greased loaf pan. Bake 55-60 minutes or until a tester comes out clean. Serve warm with butter. Makes a great breakfast treat.